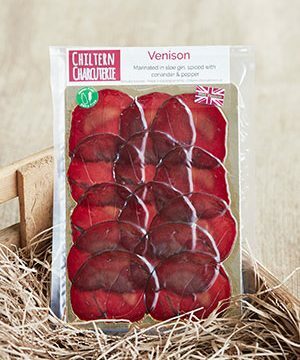 Chiltern Charcuterie is now a leading Artisan producer with award winning Salami’s and Air dried charcuterie. Located on a small dairy farm, we cure, and air dry all our products. We take pride in sourcing our meat from local independent farms, knowing they can provide us with high quality Free Range Pork, Grass fed Beef and Lamb. All our wild Venison is ethically sourced from local registered game keepers.